What is a Folded Self Mailer? 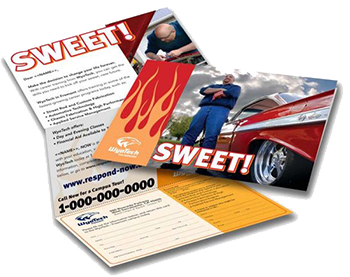 A folded self mailer can be many things including a flyer, brochure or newsletter that is mailed without an envelope. Folded self mailers are popular because they are usually more cost effective than a letter in an envelope and contain more information than can be shared on a post card. One panel of the folded piece serves as the addressing panel and must include the return address, postage (permit imprint, meter or stamp). In addition, if claiming the lower automated postage rate, self mailers must fold with the open end at the top of the sheet and allow a minimum of 4" of white space from the right end of the sheet. Always refer to a mail design expert when producing a self mailer as the difference between the lower automated postage rate and non automated postage rate is significant.